If measures , which of the following is equivalent to the measure of the supplement of ? In the following diagram, lines and are parallel to each other. What is the value for ? When two parallel lines are intersected by another line, the sum of the measures of the interior angles on the same side of the line is 180°. Therefore, the sum of the angle that is labeled as 100° and angle y is 180°. As a result, angle y is 80°. Another property of two parallel lines that are intersected by a third line is that the corresponding angles are congruent. So, the measurement of angle x is equal to the measurement of angle y, which is 80°. The measure of the supplement of angle A is 40 degrees larger than twice the measure of the complement of angle A. What is the sum, in degrees, of the measures of the supplement and complement of angle A? Let A represent the measure, in degrees, of angle A. By definition, the sum of the measures of A and its complement is 90 degrees. We can write the following equation to determine an expression for the measure of the complement of angle A.
Subtract A from both sides. 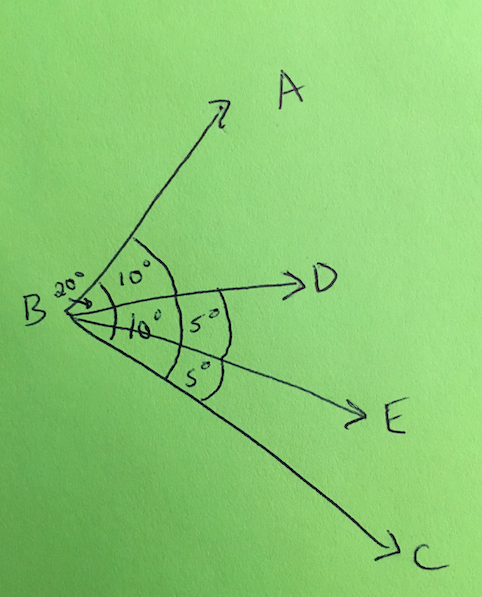 Similarly, because the sum of the measures of angle A and its supplement is 180 degrees, we can represent the measure of the supplement of A as 180 – A. The problem states that the measure of the supplement of A is 40 degrees larger than twice the measure of the complement of A. We can write this as 2(90-A) + 40. Therefore the measure of angle A is 40 degrees. The question asks us to find the sum of the measures of the supplement and complement of A. The measure of the supplement of A is 180 – A = 180 – 40 = 140 degrees. Similarly, the measure of the complement of A is 90 – 40 = 50 degrees. The sum of these two is 140 + 50 = 190 degrees. is a straight line. intersects at point . If measures 120 degrees, what must be the measure of ? & must add up to 180 degrees. So, if is 120, (the supplementary angle) must equal 60, for a total of 180. Two parallel lines are intersected by a transversal. If the minor angle of intersection between the first parallel line and the transversal is , what is the minor angle of intersection between the second parallel line and the transversal? 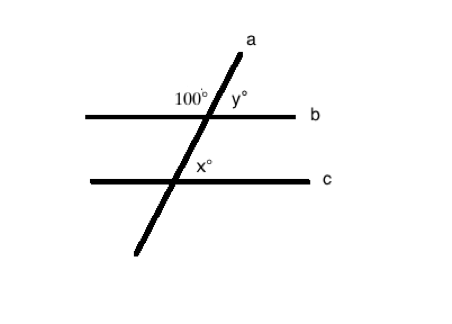 When a line intersects two parallel lines as a transversal, it always passes through both at identical angles (regardless of distance or length of arc). Let's begin by observing the larger angle. is cut into two 10-degree angles by . This means that angles and equal 10 degrees. Next, we are told that bisects , which creates two 5-degree angles. consists of , which is 10 degrees, and , which is 5 degrees. We need to add the two angles together to solve the problem. If , , and , what is the measure, in degrees, of ? The measure of is 148 degrees. 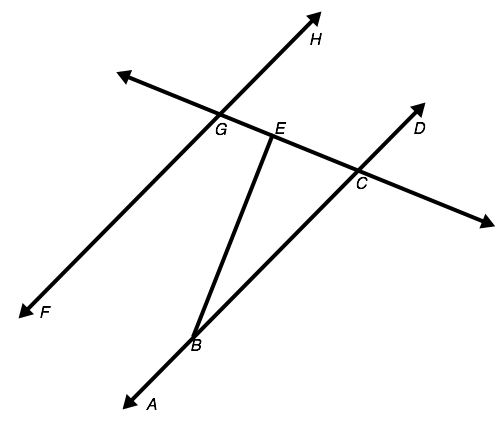 Lines A and B in the diagram below are parallel. The triangle at the bottom of the figure is an isosceles triangle. What is the degree measure of angle ?